Enjoy the crackle and aroma of a real wood fire with this stylish contemporary firebowl. Made from durable iron, the sturdy bowl is mounted on a lightweight fibrestone console with handy log store. 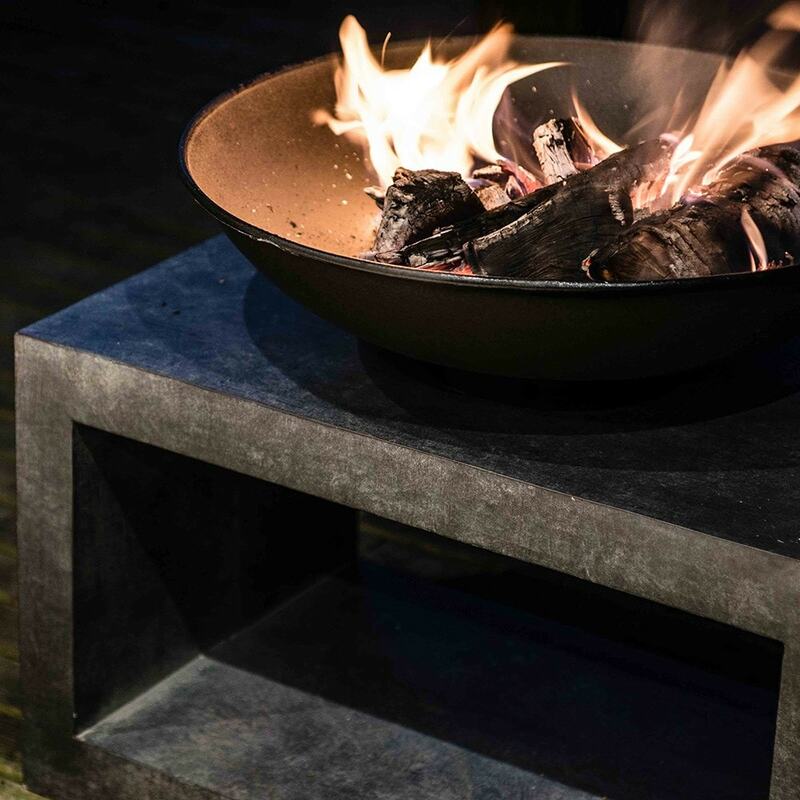 Ideal for adding warmth to outdoor parties or simply relaxing beside the glowing embers. UV stable and frost resistant. Supplied part-assembled.